If you’re concerned about an elderly parent or family member’s ability to live safely at home, you may already have considered buying them a pendant alarm. Many people start thinking about emergency lifeline buttons after an elderly parent has fallen or been injured at home. Another common reason for buying a pendant alarm is following the bereavement of a spouse; because the parent who now lives alone feels less secure. Most of us know how lifeline pendant alarms connect to a 24/7 CareLink Monitoring Centre. If not you can read about these types of personal alarms here. But we are often not so familiar with how other telecare devices work. Yet these other sensors and alerts can be used alongside (or in some cases instead of) pendant alarms, to provide additional protection for elderly relatives. And if you look after an elderly parent, these devices can take a huge weight off your mind. Here’s a quick recap of benefits telecare can bring to carers of elderly parents or others. Telecare is far from the only technology that can ease the burden of caring, but it is particularly effective. That’s because all telecare sensors can connect your elderly relative to a monitoring centre if help is needed. In other words, telecare provides a lifeline, 24 hours a day, 365 days a year. With telecare in place, you can be alerted if your elderly relative trips or falls at home, or needs help for any other reason and can’t reach a telephone. Meanwhile, they will not be left alone, uncertain as to whether anyone will arrive to assist. Once you have a telecare base-unit in your home, many other telecare devices can be programmed to connect to that same base-unit automatically*. The base-unit is the part shown in the centre of the picture above (makes & models differ). 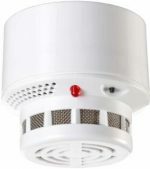 The base-unit should come as standard when you purchase your pendant alarm. It is the most important part of any telecare system, as it is the base-unit which places the call to a 24/7 monitoring centre and allows you to have a two-way conversation with CareLink Operators. Without the base-unit, your telecare sensors would not send an alert. If you don’t already have a pendant alarm system at home, you can purchase a telecare base-unit along with any other telecare device (including those mentioned in our list below). With your base-unit in place, you can then add more telecare devices, if and when your elderly parent’s care needs change. It is important to ask suppliers about telecare base-unit compatibility at the outset, before choosing your pendant alarm or telecare system. This is because the number and type of telecare sensors that can connect to a particular base-unit will always depend on its make and model. A bed exit alarm, also known as a bed occupancy sensor is a telecare sensor which is generally placed under the sheet or mattress of a bed. If your elderly parent or loved one falls from the bed, the sensor will automatically send an alert to a 24 hour monitoring centre. Your loved one does not need to press a button for help to arrive. Some bed exit alarms can also be configured to only send an alert if your loved one does not return to bed within a pre-set time (usually around 15 – 30 minutes). This allows for bathroom visits during the night and means if your elderly parent falls in another room, an alert will still be triggered and they will not be left alone. Another common type of bed exit alarm is a mat version which is placed on the floor beside your bed and activates when someone falls on it. Bed exit alarms can minimise the length of time someone is left alone after falling from their bed and can increase their chances of a complete recovery. As is the case with many types of telecare equipment, bed exit alarms are particularly important for anyone who is elderly, frail or who lives alone. They are also a great added telecare device for anyone who may not wear their pendant alarm at night. Placed near the front and/or back door of your home, a bogus caller button is a great reassurance device for anyone living alone or who is cautious about answering their door to strangers or anyone they do not feel at ease with. The button is located inside the front or back door of your home. Even if your loved one is only slightly unsure of a caller’s identity, they can press the button before opening the door. 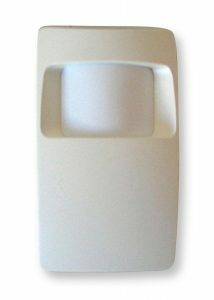 The bogus caller button connects with your telecare base-unit in much the same way as a pendant alarm. The difference with the bogus caller button, is that the call to the monitoring centre can be initiated silently when your elderly parent presses the alert (so as not to draw the caller’s attention to the telecare call having being made). It provides a way to reassure people who feel vulnerable, that they will never be left to deal with an unwanted doorstep caller situation alone. Once activated, CareLink Operators will listen in silently to make sure your loved one is safe (during the day and at night). If necessary they can let the bogus caller know that they are on the line. They can also contact the emergency services or another named contact person to alert them to the situation. Just knowing they have this protection, gives many older people a lot more peace of mind. The Inactivity Monitor is a movement sensor that sends an alert to a CareLink monitoring centre if there has not been any movement in a particular room for a specified time (which could indicate a fall or incident elsewhere in the home). CareLink monitoring centre operators can then make a check up call to your elderly parent. For instance, you could put one inactivity detector in the corner of a kitchen, and have it programmed to activate if no activity is detected there between 7am & 9am. Another could be placed in the living room and programmed to trigger an alert if no movement is detected between 9am and 7pm. These devices can usually be programmed in a number of ways by telecare suppliers, so give them a call to discuss your options. 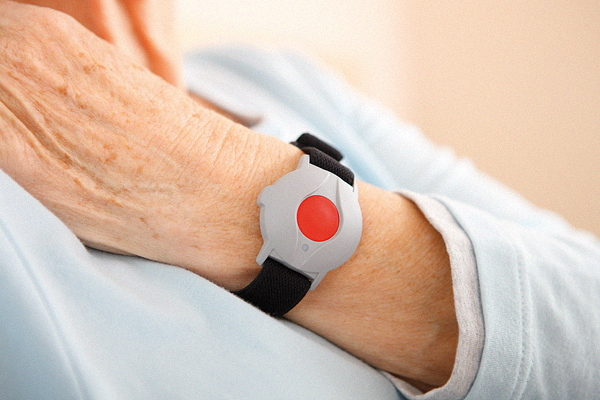 If you have an elderly parent who doesn’t want to wear a panic button, a movement detector might be something they would consider having in their home as a daytime telecare device instead. The inactivity detector can also be used as a back-up alert (i.e. in addition to your elderly parent’s pendant alarm). For instance, in cases when a person may be unconscious before they have a chance to press the button on their pendant alarm, the inactivity sensor can send an alert. However the drawback with these alerts is that they are not as fast to detect that something may be wrong. Nevertheless they can still be useful for a number of situations. Inactivity monitors are a versatile and unobtrusive telecare device and can help elderly people to continue living independently. Being informed about the medication you take is essential to maintaining your health and taking medications as directed by your doctor is important. Most people like to have control over administering their own pills each day. However it can become confusing when many tablets are prescribed for different times throughout the day. This is one of the reasons people forget to take medications they have been prescribed. 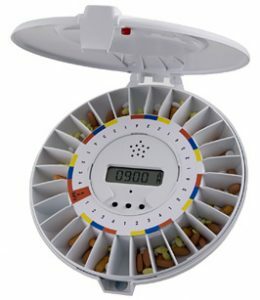 An automatic pill dispenser with alarm is a great way to ensure that your loved one will remember to take the correct dosage of their pills. The electronic pill dispenser also reduces the risk of your elderly parent mistakenly taking a repeat dose of their medication. Automatic medication dispensers work in the same way as standard pill box organisers, by allowing an elderly parent or carer to measure out pills in advance for the week ahead. The benefit of electronic pill dispensers is that an alarm can also be set, for the desired number of daily alerts. The pill dispenser alarm should set easily, just like an alarm clock. When it’s time to take the tablets, the dispenser releases the pre-measured dose into a small compartment and an alarm sounds (and/or a light flashes). With a telecare pill dispenser, if your elderly parent does not take the pills within a pre-set time period (usually 30 mins after the alarm first sounds) an alert can be sent to a 24/7 CareLink Monitoring Centre. CareLink Operators can then give your elderly parent a reminder call. If there is no answer, operators can contact you or another nominated contact to check everything is alright. In some cases relatives discover that their elderly parent has had a fall at home after receiving this type of notification from the monitoring centre. Medication dispensers are generally installed by plugging into a power outlet in your home. A good option is to purchase one which includes a backup battery (so it will continue to work in the event of a power outage). The pill dispensers usually have 28 compartments, each of which can hold several pills. This equates to a seven day supply, if your elderly parent has to take their pills four times a day. The frequency of alarms/rotation can be adjusted as required. The pill dispenser with alarm is an ideal telecare device for elderly parents who take tablets throughout the day at regular intervals. Carbon Monoxide (CO) is particularly frightening because it has no smell and can’t be seen, which means this poisonous gas is easy to inhale without knowing. 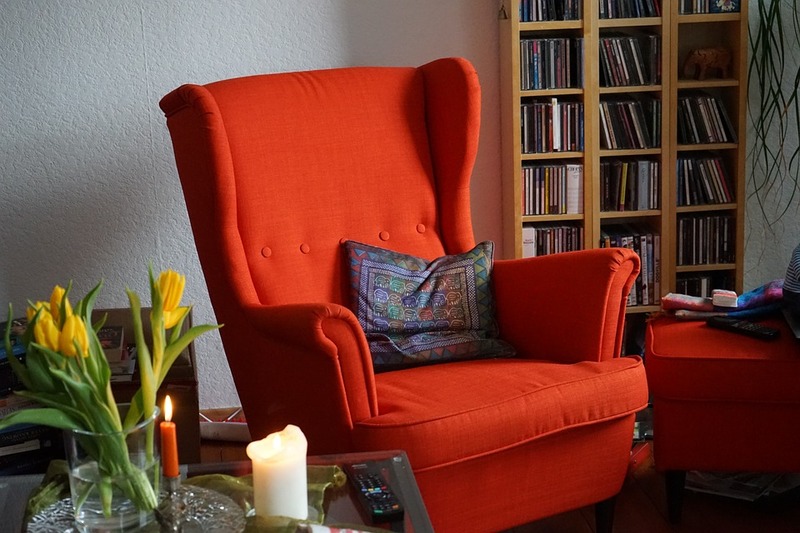 It can come from many place in your home, including an open fire, cooker and boiler. Monitored carbon monoxide (CO) alarms give a number of advantages over standard CO detectors. For instance, because carbon monoxide alarms generally need to be fitted near the fuel burning appliance, your elderly parent may not always hear the alarm. Likewise, if your elderly parent has hearing problems, takes sleeping tablets (or other pills that make them drowsy) you may want to consider adding a monitored CO detector to their telecare system. If your carbon monoxide alarm is monitored, this means experienced call handlers in a monitoring centre will be available 24 hours a day, 365 days a year, for any time the detector is activated. The trained staff can attempt to awaken your elderly parent through the two-way speech function of the telecare base-unit. If the trained call handlers do not hear a response from your elderly parent, they will immediately follow up by contacting a family member or the emergency services to check on them. This ensures that the most appropriate support can be summoned without delay. CareLink Operators can also give your elderly parent immediate safety advice through the two-way speech function of the telecare base-unit. They can explain in which room the detector has been activated (even if there are a number of detectors placed around the home). Do telecare suppliers charge 24-7 monitoring fees for each additional telecare device? 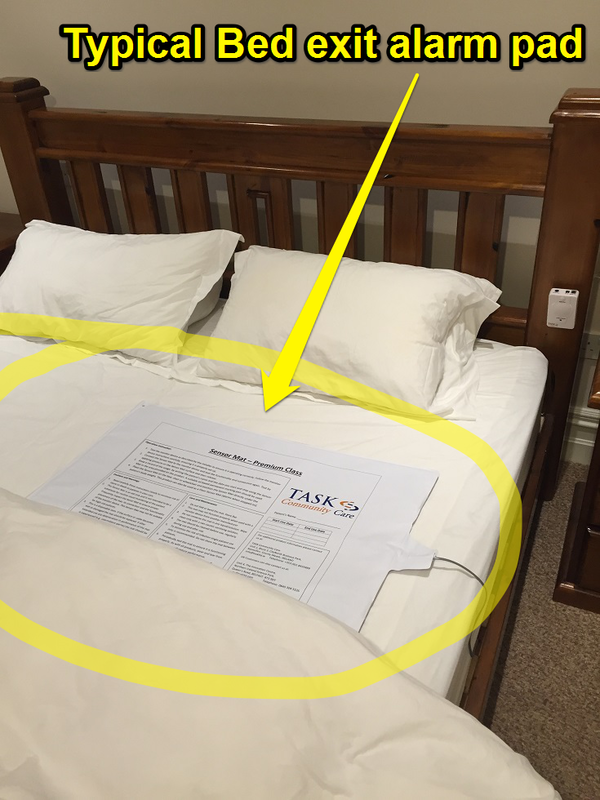 If you already own a telecare base unit or pendant alarm that is monitored by our Sponsor, TASK Community Care, they do not charge an additional monitoring fee for 24-7 monitoring of other telecare devices (including all those listed above). Other telecare suppliers arrangements will differ. This is something worth checking at the outset with any telecare supplier you contact. All the above telecare devices (& many more) can be purchased from TASK. Their monitoring costs for 24/7 monitoring centre are €66 yearly in Ireland and £52 in the UK. 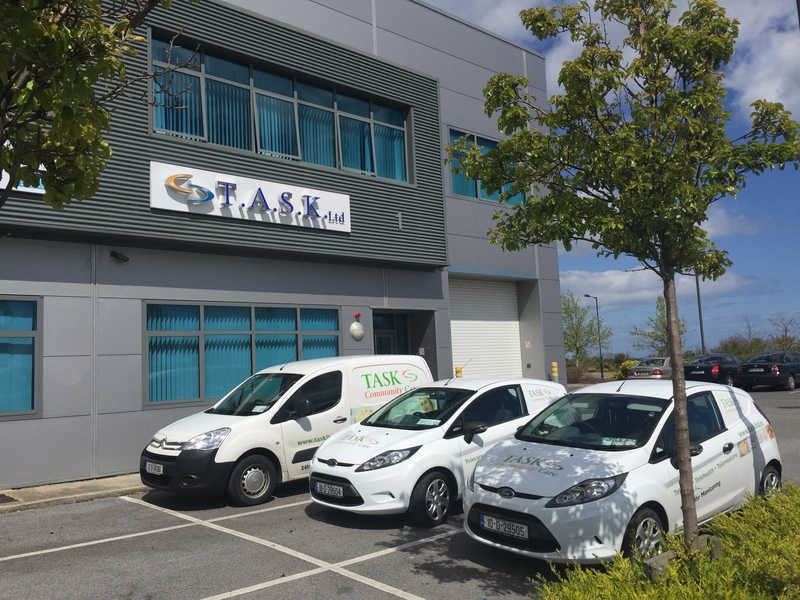 You can contact TASK directly to find out more about their range of telecare devices and 24-7 monitoring for your elderly parent or loved one ROI: 01 8435889 UK: 0845 304 55 35. If you are not currently using TASK for your 24/7 monitoring but wish to transfer your monitoring to them, it may also be possible to do so by giving them a call. *It is important to ask telecare suppliers about telecare base-unit compatibility at the outset, before choosing your telecare system. This is because the number and type of telecare sensors that can connect to a particular base-unit will always depend on its make and model. For instance, some older or basic versions of telecare systems will only receive signals from pendant alarms (but not from other telecare devices). Please contact our Sponsor TASK Community Care for further information on any aspect of their wide range of compatible telecare systems, pendant alarms or 24-7 monitoring for your elderly parent. Posted in Automatic fall detectors, carers, elderly, emergency alarms, fall detectors, Pendant Alarms, Telecare, telecare equipment and tagged bed exit alarm, bogus caller alarm, elderly, fall detector, falls, inactivity detector, pendant alarms, telecare equipment. Bookmark.